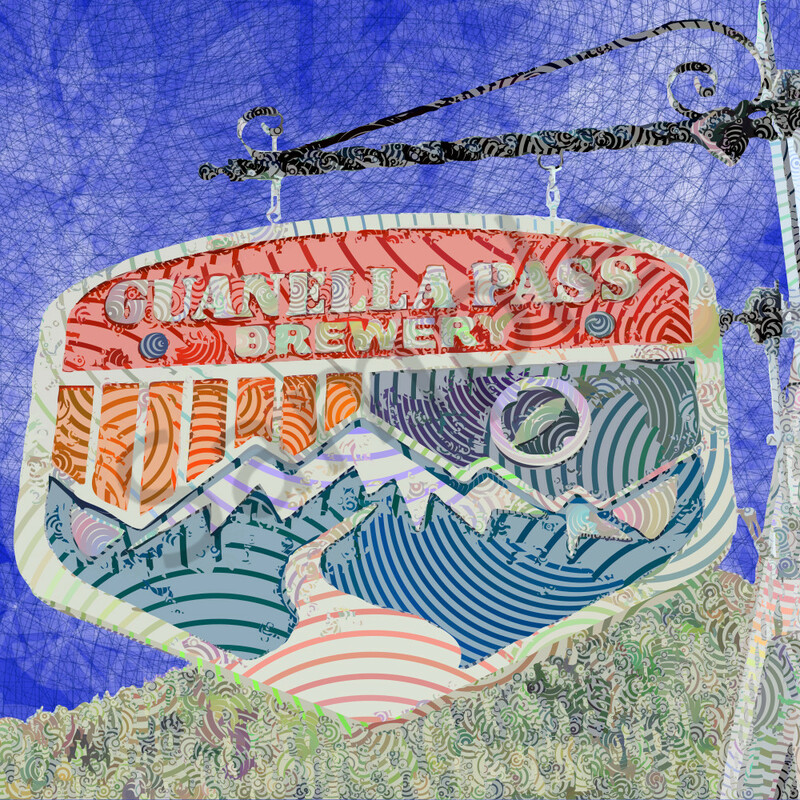 If you are ever up in the mountains of Colorado, make sure to stop in for a brew at the Guanella Pass Brewing Company in Georgetown. This little town is so cool and it’s maintained its 19th Century roots and charm and this place fits right in. I couldn’t help but appreciate the hand crafted sign set against the mountains and blue sky so I rendered it in my concentric treatment. Oh, and make sure to NOT drive over Guanella Pass after the brewery visit.